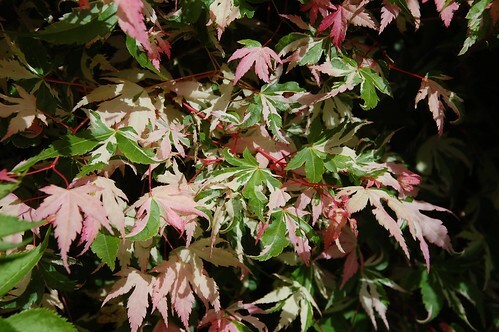 This maple was a present from Paul after he went to Hampton Court flower show and I didn't. It's coming along well but getting swamped by the elderflower and invading brambles around it. 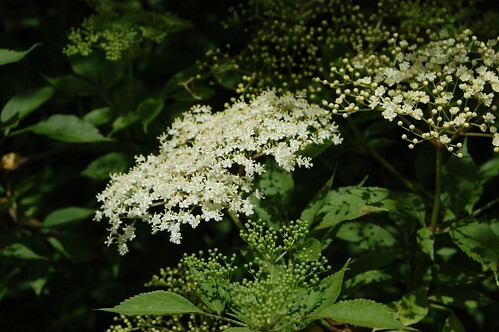 This is the elderflower next to it, must get around to making elderflower fizz and syrup soon. 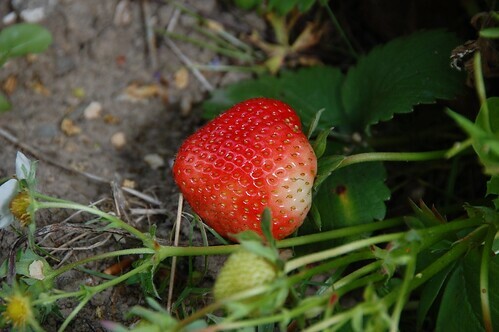 The first strawberry; it was delicious but I need to look at ways to protect the rest from birds and slugs as they ruined most of the fruit last year. 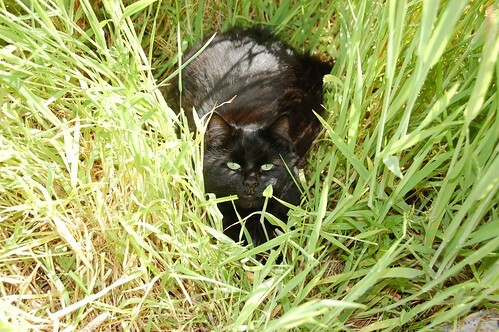 This little madam scares the birds but she's not much cop at killing slugs. 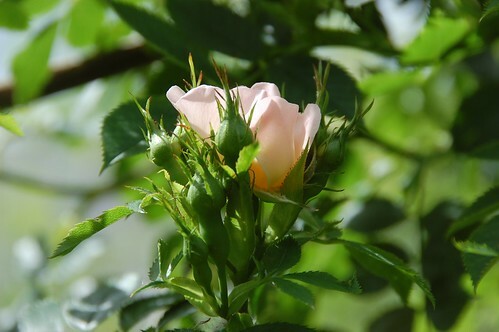 This is a dog rose rootstock that's overwhelmed the rose that was grafted to it but it makes lovely hips in the autumn and the bees adore it. 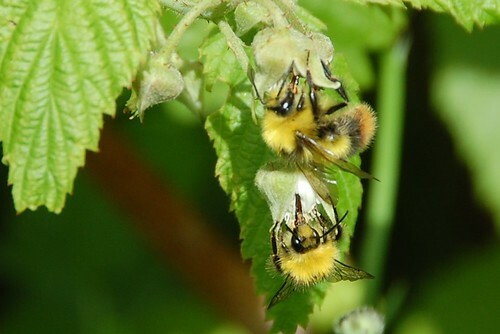 We have lots of bumble bees here and I'm very keen to make a photographic survey but they're not easy to catch on camera and I find them quite difficult to identify too.